Bishop Chatard offers student musicians the opportunity to learn and showcase their talents through participation in the school Concert Band, Concert Choir and A Capella Choir. All students interested in learning more about the performing arts at Bishop Chatard are encouraged to contact the school. 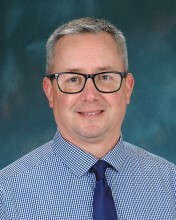 Bishop Chatard welcomed Mark Duray in 2018 as the new music director. View a video about his vision for Liturgical Music during the school year. This video was created by BCHS journalism students and originally published in The-Blueprint.org, the BCHS student news website, on Oct. 16, 2018. 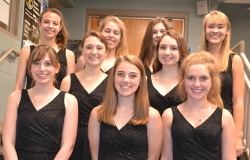 Vox Troiano, formerly known as the Liturgical Choir, is the select (auditioned), advanced, mixed, soprano-alto-tenor-bass (SATB) chorale (large chorus) of Bishop Chatard High School. Membership is through audition in early spring. For 2019/2020, choir members have four rehearsals a week – two during ZERO period (Wednesday and Friday) and two during HOMEROOM. Upon gaining membership through audition, members will be assigned to Mr. Duray’s homeroom. Participants will receive .5 fine arts credit per semester. Sounds of Silas is the select (auditioned), advanced, mixed (SATB) chamber chorus (8-16 members) of Bishop Chatard High School. This ensemble meets as a class during the 1st and 2nd semesters. Upon gaining membership through audition, students will need to adjust your schedule with the help of the school counseling department. Participants will receive 1 fine arts credit per semester. Note: After serving two years (or four semesters) of either chorus, you are eligible for fine arts credit at the HONORS level for each semester of membership and participation. See or email Mr. Duray (mduray@bishopchatard.org) for additional details or questions you may have. Catholic High School Choral Festival, Marian U.
December 13, 2018: Christmas Concert, (all ensembles). 7:00 p.m. in the main gym. Admission is free. Jillian Hurley earned a gold medal for her vocal performance in the top performance level in the 2019 Indiana State School Musician’s Association (ISSMA) State competition. Emily Boon received a Gold Medal with her flute performance in the 2019 Indiana State School Musician’s Association (ISSMA) State competition. Jillian Hurley, Adam Pemberton and Emily Boon earned Gold Medals in the regional ISSMA Music Competition in Jan/Feb. 2018. Jillian won the gold for her vocal solo; Adam for his piano solo and Emily for her flute solo. Emily will compete at the ISSMA state competition on February 24. Emily Boon auditioned and was chosen by the New World Youth Symphony as the second chair flutist in their Philharmonic Orchestra. She also was the only high school student in the pit orchestra for the summer stock production of ‘Pippin’at Park Tudor. Read the full story in The-Blueprint.org, the student news website. 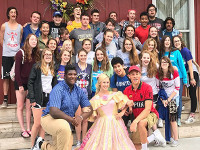 The BCHS band and choir each took 1st Place in their categories in the Smoky Mountain Music Festival in Gatlinburg, Tenn, Spring 2017. Emily Boon, freshman, was the outstanding flutist at the CYO music contest on Feb. 11, 2017. Jillian Hurley, freshman, was the overall vocal winner in the High School division of the CYO music contest on Feb. 11, 2017. Erik Compton, Jack Lockrem, Robbie Tebbe, and Zach Elcesser received gold ratings at the January 2016 ISSMA District Solo & Ensemble contest! 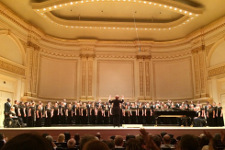 BCHS students Colleen Curry, Rebecca Doyle, and St. John Jefferson traveled to New York City to perform at Carnegie Hall with the Indianapolis Youth Chorale and National Festival Chorus on May 10, 2015. 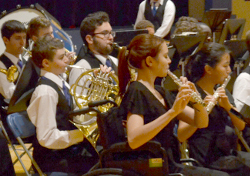 The group performed 10 pieces and received a standing ovation.